AMI Wall Mount RO Systems for High TDS Water - WMH Series | Applied Membranes Inc. 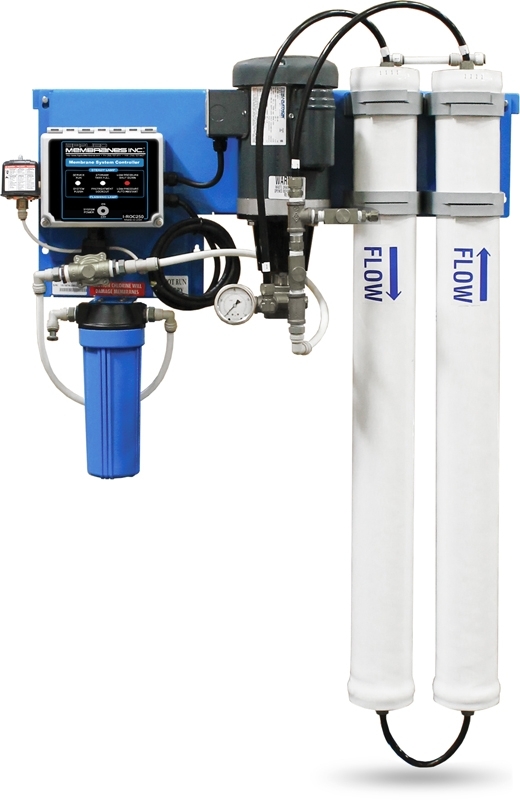 Designed to produce low dissolved solids water from high TDS tap or well water, these wall-mountable RO systems use high efficiency reverse osmosis membranes. The RO product water is used in applications such as spot free rinse, water stores, whole house, labs, ice makers, humidification, misting and a wide variety of other applications. 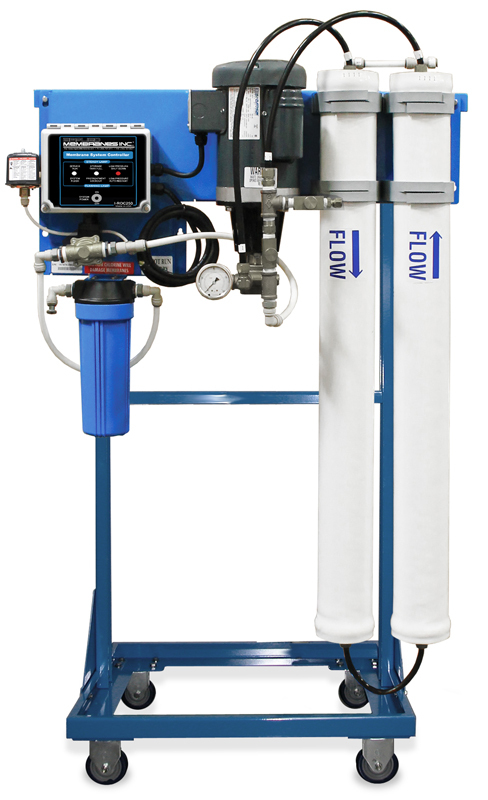 The convenient, space efficient wall mountable reverse osmosis systems are substantially lower in cost than frame-mounted RO systems and are more cost-effective to ship. WMH Series RO systems are expandable to allow for quick, easy and cost effective upgrades to systems in the field. Simply purchase and install the appropriate expansion kit assembly to increase your system capacity at any time down the road. 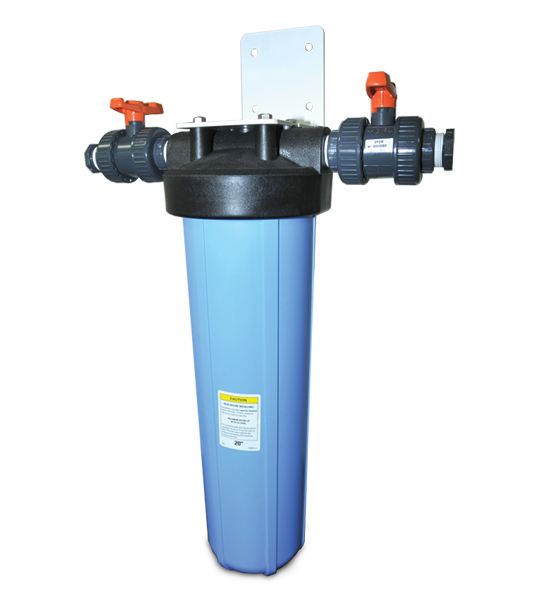 These reverse osmosis systems use the proven, reliable components and are mounted on a sturdy powder-coated metal mounting backplate. There are numerous design details learned from years of experience that are incorporated in our water filtration systems. Our process and fluid design ensures an optimum membrane life and minimizes the membrane fouling. 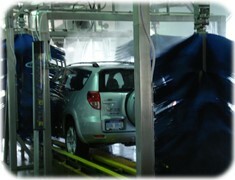 Systems rated at: 77°F (25°C) using 5000 ppm sodium chloride solution operating at approx. 200-250 psi pressure. Chlorine must be removed with a carbon filter prior to the RO system, if present in the feed water. Pretreatment for water hardness using a softener or antiscalant injection should be added to avoid scaling the membranes. Feed water turbidity: Less than 1 NTU; Feed water silt density index (SDI): 3 maximum. If exceeded, pretreatment with media filter recommended. 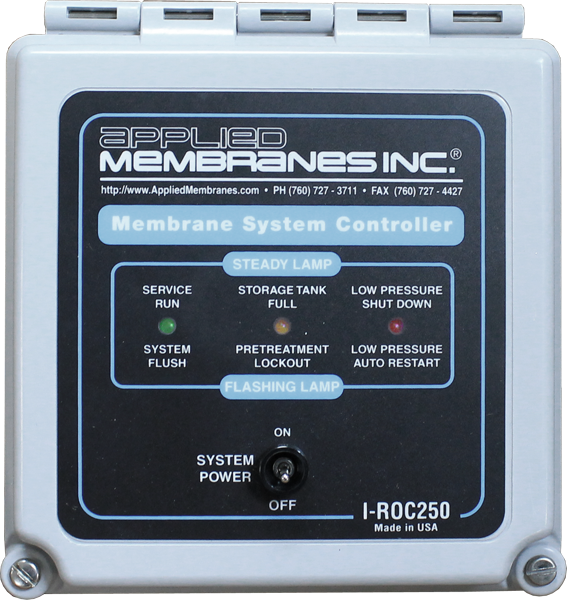 All pretreatment equipment and SDI test kits are available from Applied Membranes. Voltage Codes: Above models indicate recommended voltage codes per model. • 116 = 120V/1ph/60hz • 215 = 220V/1ph/50hz. • 216 = 220 or 230V/ 1ph/ 60hz • Three phase not available. AMI's WM Series Wall Mount RO Systems are available with a wide variety of optional add-on accessories. All assemblies include hardware and mounting equipment for easy upgrade to your new or existing system installation. Includes mounting bracket and Isolation Valves to close the line when changing the filter cartridge. Filter cartridge must be ordered separately - common options are shown below. Any 20" Big Blue size cartridge can be installed. 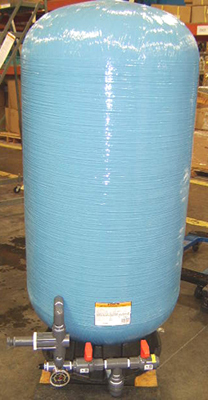 Click here to view our complete filter cartridge product selection. Block Carbon Filter Cartridges Block Carbon filter cartridges produce no carbon fines. 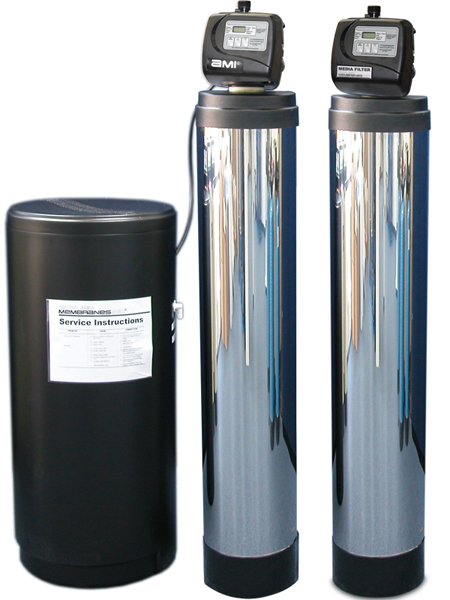 Single or Twin Water Softener to remove hardness and scale. Multi-Media Filter for sediment filtration to approximately 10 microns. Carbon Filter to remove chlorine. Calcite Filter to neutralize the pH of the RO product water. Click Here to visit the Media Filtration section of our site for detailed information on the full line of media filtration products we carry. Screw the mounting bracket to the wall first to simplify the mounting of the RO unit. 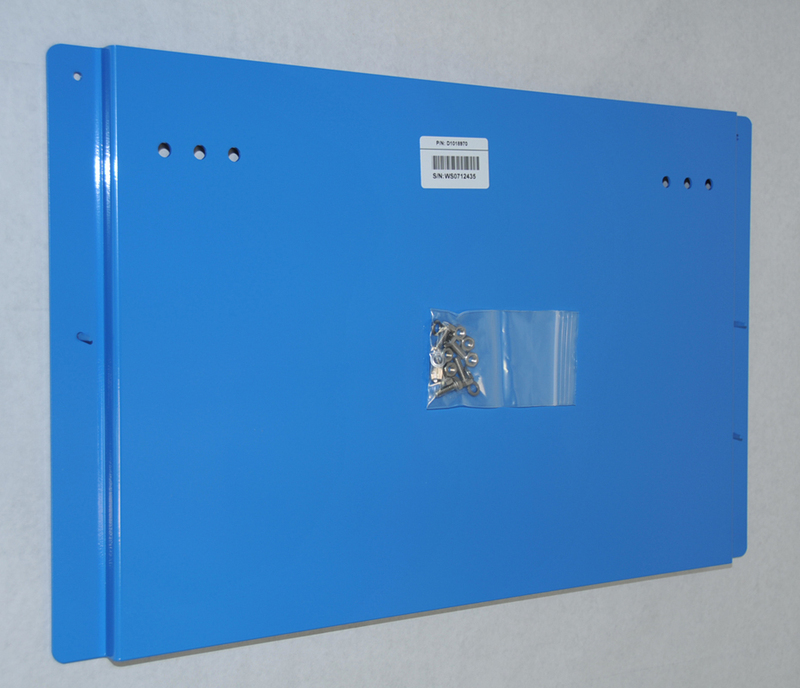 Includes powder coated mounting plate with screws. Pre-packaged wall-mountable water quality monitoring controls allow you to monitor the quality of the incoming feed or RO product water. Assembly includes the monitor, enclosure and sensor. Use this free-standing carbon steel powder coated frame to convert the WM unit to a floor unit. 2 Locking & 2 Swivel for ease of mobility. 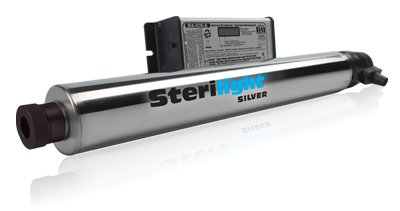 Add an ultraviolet water sterilizer for a 99.9% reduction of bacteria and viruses in the feed and/or permeate line. Note: For feed line, wall-mount filter cartridge assembly shown above is required. 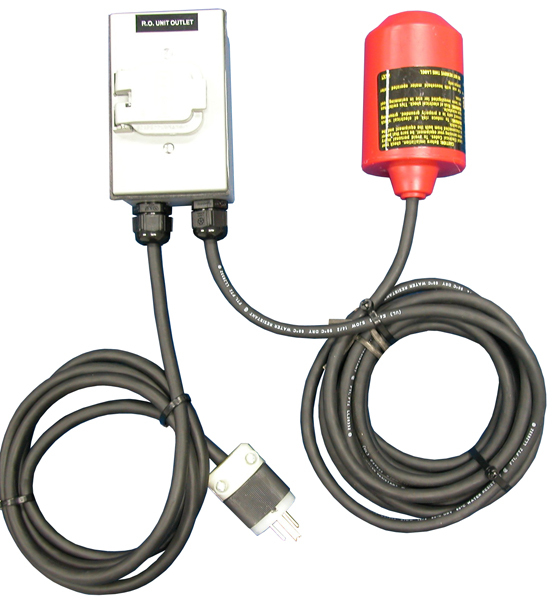 To automatically turn the RO system on or off with the permeate storage tank level. For use with a pressurized storage tank (sold separately). Pressurized permeate storage tank available in 40 or 80 gallon volume. 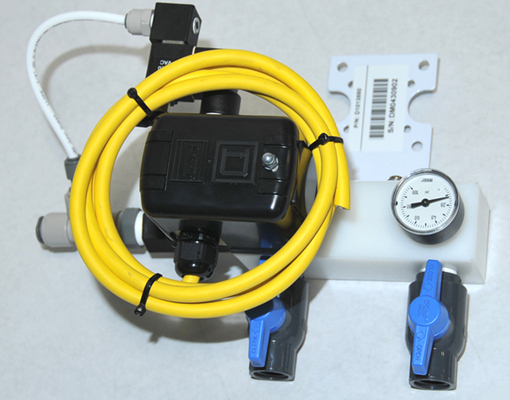 Assembly includes tank, valve, piping, tubing, and pressure gauge. 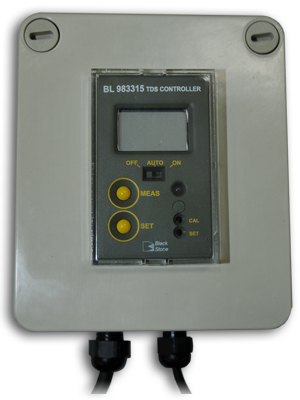 Turns system on or off according to the water level in an atmospheric storage tank. Dual float assembly provides system on/off controls. Triple float assembly provides system on/off as well as low level protection on/off for a repressurization pump. Atmospheric storage tank and repressurization pump are sold separately. To allow for monitoring of the in and out pressure of the prefilter in order to indicate when the cartridge needs to be changed. 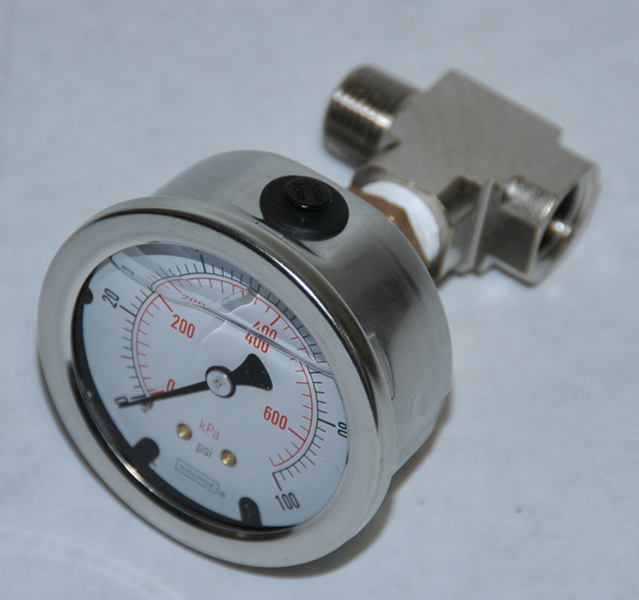 Assembly includes pressure gauge and fittings. Monitor system flows. Includes mounting bracket and fittings for connection of system tubing.